While Mr B and I agree on many things, there are some things that we simply cannot quite reconcile. Bread for instance. I like white. He likes brown. Neither of us like those inbetweeny-looks-like-white-tastes-like-brown ones. Tea. English breakfast, white, one sugar for me. Earl Grey, black, no sugar for him. Shepherds pie. Heaven for me. Hell for him. Oysters. Hell for me. Heaven for him. Ok, so none of these differences are exactly a problem and we can carry on our lives quite happily, even if we do need to buy two loaves of bread at each shop and different brands of tea. No big deal. 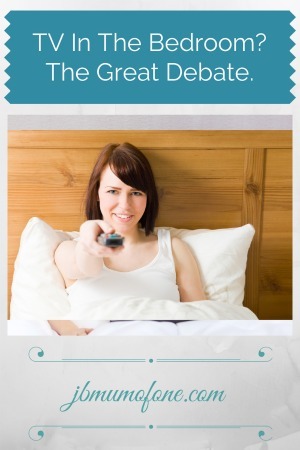 The one great debate that has always loomed large at Casa B is the prospect of having a TV in the bedroom. Personally, I would love one. I love the idea of being snuggled up in bed with a cuppa, white naturally, and popping on a movie. I love the idea of not having to wake up Mr B and drag him from the sofa when he, invariably, falls asleep halfway through Nikita. So, we have recently come across the most amazing compromise. I am delighted to have been chosen to be part of the Netflix Stream Team and have been given a subscription. Our current main TV is actually so old it is not internet enabled, it even has a cathode ray tube, remember those? As such I have had to run Netflix from my laptop which…you guessed it…I can do whilst in bed. HOORAY! I had been hearing very good things about Netflix from the Breaking Bad obsessed Missie Lizzie at Me and My Shadow, and the Sons of Anarchy addicted Molly at Mother’s Always Right and couldn’t wait to check it out for myself. Due to a rather horrid virus I found myself temporarily bedridden this week. After several ibuprofen, several more hours sleeping, the children safely seen off to nursery and Mr B to work, and once it no longer hurt to move my head I decided now was the time. Snuggled up in bed, with my white-sugary breakfast tea, laptop fully charged, I logged in. First I got to set up profiles for me, Mr B, The Boy and Little Miss separately which took all of about one minute. Next I selected a bunch of films and TV shows that I have previously enjoyed watching, and those I would like to watch, and from this Netflix gave me a suggested viewing list in line with my taste on my profile. Now I know Molly had been raving about Orange Is The New Black and there it was, right at the top of my queue. It was awesome. It did however take enormous will-power not to jump right on in to episode two as I think Mr B will really like it too so I need him to catch up. So there we have it. Netflix was not only super easy to set up but have also managed to reconcile the great debate. We now have TV in the bedroom without having a TV in the bedroom. It really does doesn’t it! We are a no tv upstairs family – but you NEEEEEEED Breaking Bad in your life! I do! I LOVED Season One and am dying to start Season Two. I am utterly and completely addicted to Netflix. I watch it on my tablet, even if I’m in the living room. There is something more intimate about watching it like that, than on the ‘big box’, or maybe its my poor eyesight! We have a TV in our room but must admit to hardly using it, although now you have given me the idea of snuggling up whilst I watch a movie I might just be doing that tonight. You can watch iplayer etc from your laptop too. Great compromise. It certainly seems to be, and I am hoping as Mr B gets used to it he might just give in one day! For me, no TV in the bedroom. Too much of a distraction. We don’t have a TV aerial or satellite dish – the only TV we watch is is netflicx or iplayer (various channels) And I love it! Wouldn’t go back to normal programming at all! BUt I don’t like the TV in the bedroom either – although I do sneakily watch on the laptop if I’m on my own! Yep there certainly seems like a lot of folk wouldn’t have a TV in the bedroom. Perhaps Mr B is not that odd after all.